I had a few set backs in my vegetable garden yesterday. Some little booger-bug has caused my red cabbage and cauliflower starts to wilt and die. It was heart-breaking at first, to see them thriving less than they were the week before. They looked dehydrate and in need of water but it’s been pouring rain for the last few days, so lack of moisture was not their issue. With a very slight tug, the wilted plants broke away from the soil, exposing weak roots and a menacing off-white colored larva. Sadly, I plucked all of the infected plants out of the ground. 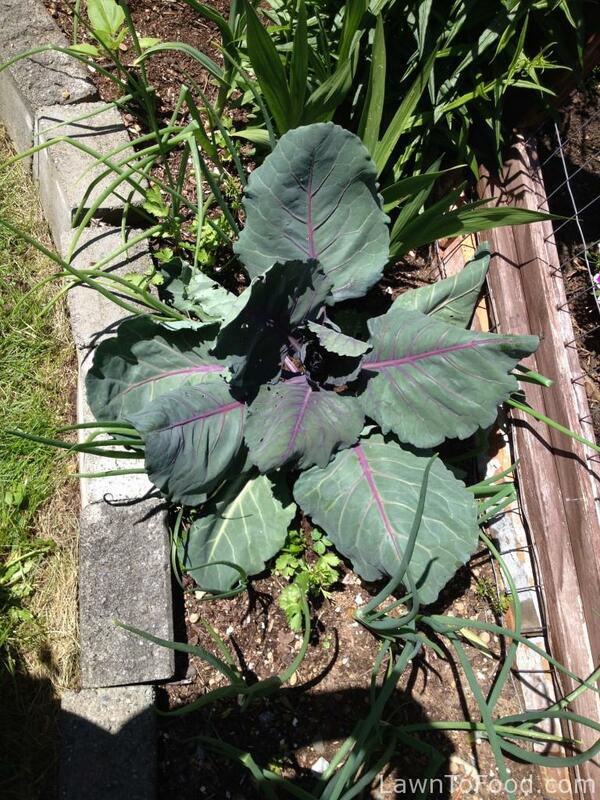 There were six cauliflower and six red cabbage that I moved to the yard waste container. I wonder if these 6 packs of vegetable starts, that I purchased, contained the pest issue before I planted them in my garden? Just one more reason to get our greenhouse completed, so that I can start all of my own vegetables in the future. A few negative thoughts circulated in my mind, “all that effort & nurturing for nothing!”, but I quickly squashed those thoughts (like a bug). It’s not a big deal, not everything can be successful. We have so much to be grateful for, there’s no need to waste any time on looking back. For example, the garden has already provided bowls full of lettuce, arugula, spinach, kale, parsley, chives, cilantro, green onions and even a few radishes that were edible. Just as easily as the diseased plants were plucked from the ground, I moved on and created a new plan. I dug through the now empty garden space, looking for plant-eating bugs and worms. Then I seeded one area with basil and set in some ancho pepper plants in the other space. Neither of those crops are from the same plant family as the cabbage / cauliflower so should not be affected by the culprit, if there is still some lingering in the soil. This entry was posted in Compost & Soil Condition, Crop Planning, Growing Food and tagged cut worms, insects, pests, problems by Lynda. Bookmark the permalink. Hi Dianna … That is so sad! I also have had several cutworm instances with young lettuce seedlings since converting my lawn to food production. I think I’ll do some more research and then write a bit about how we can help avoid that issue in the future.